Infogroup started the development of Bartók Court II office park. The office park – located on the Bartók Béla street of the XI. district, offering 24 000 sqm net leasable area – will be constructed in three phases. The first building is to be ready by the end of 2018. The construction of the first A+ category building in the Bartók Court II has just been launched by the owner, Infogroup. The 6-storey building will provide 8000 leasable area. 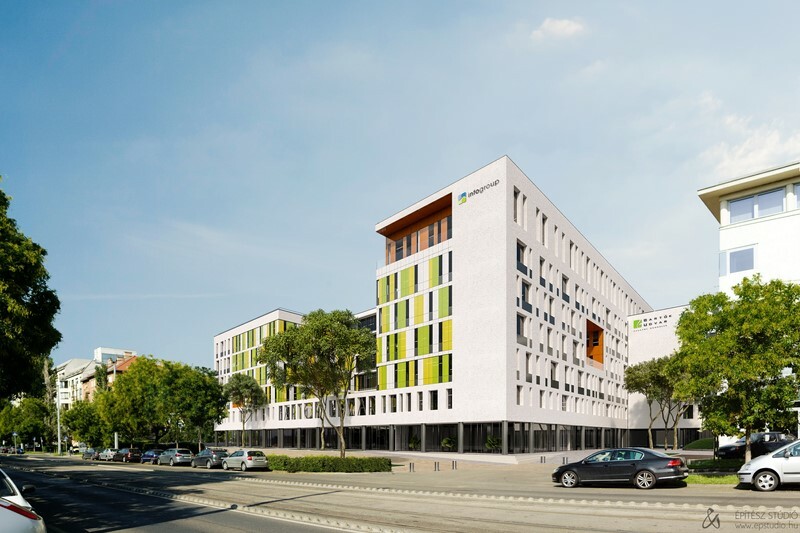 Bartók Court II has already earned BREEAM ’very good’ certificate during the planning phase, hence its green courtyard, smart parking garage, BUBI stop, ample bike storages, eletric charge station and energy efficiency program including selective waste collection and recycling. Come the end of 2018, the long-awaited development in the South-Buda location awaits its prospective tenants with A+ category, custom-made offices. Transportation is just one of many!